I wouldn’t go anywhere else for my care. Without Panorama, I wouldn’t be able to do all the athletic stuff I do! From professional athletes to weekend warriors, everyone trusts our sports medicine experts when they need help getting back into action. Our sports medicine team includes an elite group of 11 fellowship-trained orthopedic sports physicians, along with an array of sports-specific physical therapists, athletic trainers and other staff. Their experience and expertise are unparalleled in the greater Denver area. Our athletic training partner, Panorama Wellness & Sports Institute (formerly known as D1 Sports), is located at our Highlands Ranch location! 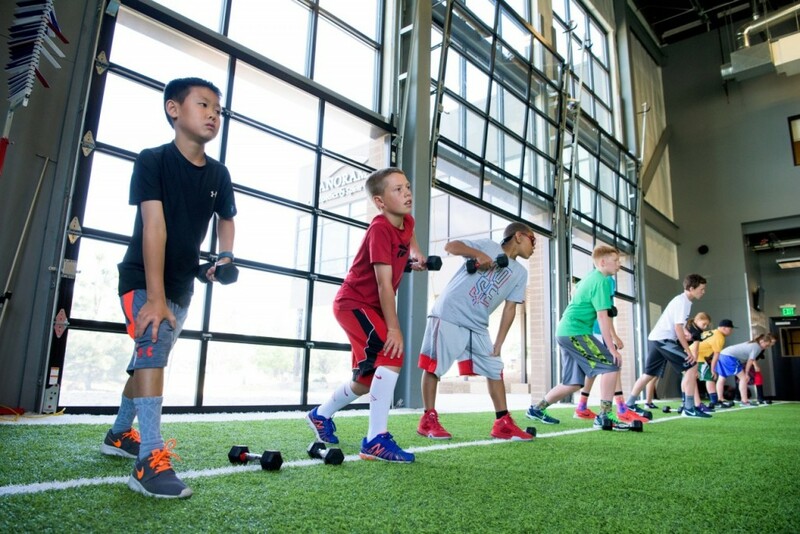 Here we have more than 50 yards of indoor turf, a full basketball court, professional training facility, physical therapists and sports rehabilitation specialists. This one-of-a-kind facility in the Denver area is open to anyone who wants to train or needs to rehab like the professional athletes. Former NBA star, Chauncey Billups, former Bronco’s players, Brandon Stokely and Chris Kuper are all owner/investors in this top notch athletic training facility. Each doctor on our sports medicine team is a specialized orthopedist, with expertise in the injuries and conditions unique to their specialties. You can depend on Panorama for state-of-the-art clinical and surgical care for all conditions. Our expertise include sports conditioning, injury prevention, pain management, conservative and surgical treatments and rehabilitation following injury. Every patient receives an individualized treatment plan based on his or her needs and goals. Then the entire team works in a coordinated manner to ensure you get back in the game as quickly as possible. A goal of Panorama’s sports medicine department is to help you manage and prevent injuries through education and training. We always try to use conservative interventions prior to pursuing surgery. Conservative treatments may include bracing, physical therapy, injections and/or medications. When conservative methods of treatment fail to provide adequate relief, we provide advanced options at facilities specializing only in orthopedic procedures. This enables us to deliver the highest quality care with the best results. Our doctors are experts in ACL reconstructions and our ACL patients experience nearly double the improvement in their functional abilities after surgery than compared with before. We have doctors specializing in treating all sports injuries. Some of the most common injuries we see include: rotator cuff tears, meniscus tears, patellar instability, shoulder arthritis, AC separation, shoulder instability, SLAP tears, labral tears, OCD (osteochondritis dissecans), little league elbow, PCL tear, knee arthritis and Tommy John operations. 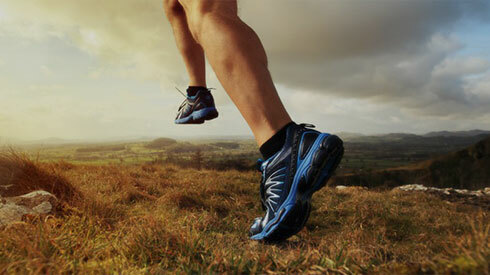 Some of the world’s best athletes have trusted Panorama Orthopedics & Spine Center with their care. We get sports! Many of our physicians are also athletes themselves so they understand what it takes to be at the top of one’s game. Our doctors have treated professional football, baseball, basketball, hockey, soccer, lacrosse, and rugby players. We have helped professional dancers, cyclists, figure skaters, MMA fighters, Olympic skiers and snowboarders get back in their game. The Anaheim Ducks, the Los Angeles Galaxy, the Oakland Raiders, the Chicago Bears, the Chicago Bulls, the Chicago White Sox, the Los Angeles Dodgers, the Los Angeles Galaxy, the Los Angeles Kings, the Los Angeles Lakers, the Ladies Professional Golf Association (LPGA), the Professional Golf Association (PGA), the Oakland Raiders, the San Jose Sabercats, and the San Jose Sharks. Our love for athletics has also led us to help establish guidelines and standards of care for athletes of all ages. Our doctors work with the Jefferson County Schools athletic trainers program and have been involved in promoting and creating standards to keep young athletes healthy. We love competition and are committed to helping all of our patients return to the activities they enjoy most. Cameron's Story of Trusting Panorama to Keep Him in the Game! A self-described ‘army brat’, Molly was born in Germany but grew up in Alabama. She received her undergraduate degree at Auburn University before going on to complete her Physician Assistant Studies and Master of Health Sciences at the University of South Alabama. After living in Breckenridge for two years working at the Steadman-Hawkins Clinic, Molly went to Maui for short stint before returning to Colorado in January 2011. Molly is very active herself and enjoys swimming, cycling, hiking, running and even finds time to do some races. She also enjoys skiing, listening to live music and spending time with friends. Paul works with Dr. Schneider, both in the clinic and operating room. He was born and raised in Denver, CO. He received his undergraduate degree in integrative physiology at the University of Colorado Boulder, and then went on to receive his physician assistant degree at Nova Southeastern University Jacksonville. After completing his orthopedic surgery rotation in PA school, Paul knew that orthopedics was the field he wanted to pursue. He is passionate about educating patients, and emphasizing the importance of being active and doing daily stretches/exercises, particularly after an injury or surgery. In his spare time, he enjoys jogging, lifting weights, listening to music, and exploring breweries. Jonathan Salamt, PA was born and raised in Kingsport, TN. He graduated from The University of Tennessee, Knoxville with a degree in Exercise Science and then went on to earn his Master in Medical Science at Lincoln memorial University -DeBusk College of Osteopathic Medicine in Harrogate, TN. Jonathan has been working with Dr. Hector Mejia since 2012 as his PA in Tallahassee, FL providing medical coverage to the Florida State University, Tallahassee Community College, and Florida A&M University athletic teams. 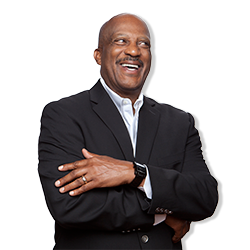 He has always participated in athletics and recreational sports himself and has been providing medical care to athletes since his days in undergraduate studies when he worked as a student athletic trainer with the Lady Vols Athletics. Jonathan works directly with Dr. Mejia on the Sports Medicine team. Brian Morgan, PA works on the Sports Medicine Team supporting Dr. Gottlob and Dr. McNair. Benjamin Wilkerson, PA works on the Sports Medicine Team supporting Dr. Johnson.